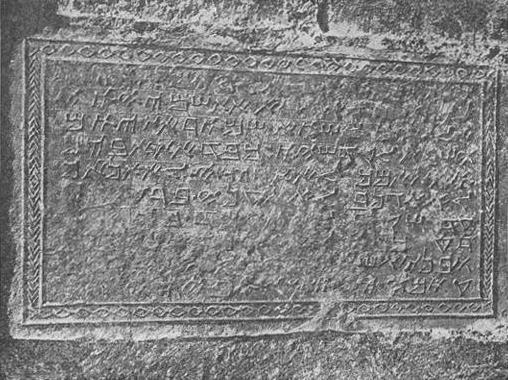 Some writing systems are thriving, some are extinct, some are newly created, some seem to be falling into disuse. One language and its alphabet defy all these categories. Two thousand years ago it was the mother tongue of as many as a million people, but by the end of the nineteenth century it had dwindled to the point where it was used by only four families. Yet it has survived defiantly, like a desert plant. It is Samaritan. The Samaritan family tree is very old, and has deep roots. 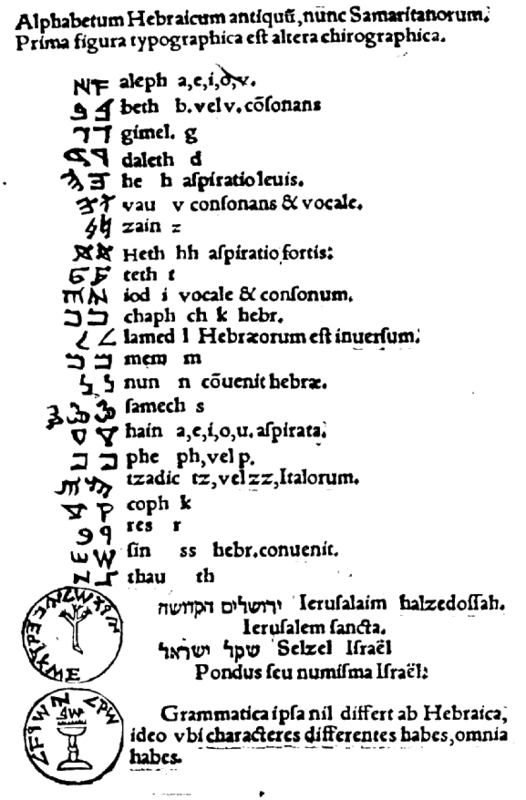 Perhaps the first writing system to see widespread usage around the Mediterranean was the Phoenician alphabet, the script of a great trading empire. Phoenician was adopted (and adapted) by the Ancient Greeks, and as such is the ancestor of the Latin alphabet in which this Atlas is typed. 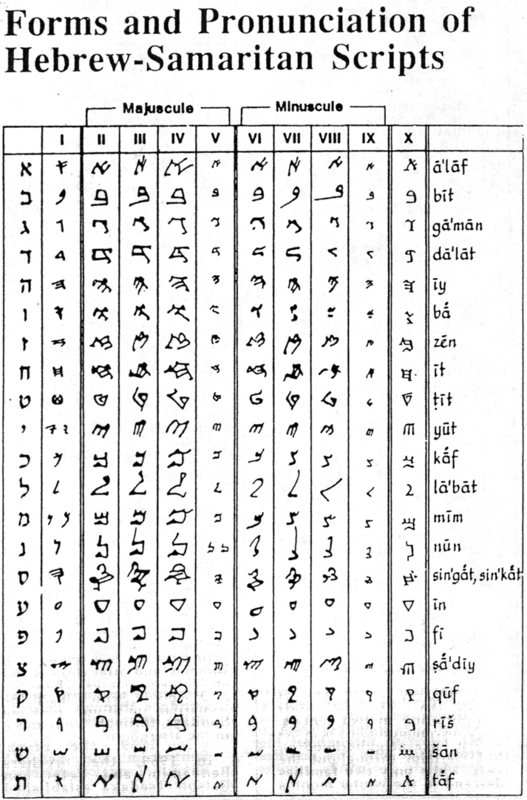 Another variant, perhaps 3,000 years old, has been dubbed the “Paleo-Hebrew” alphabet. 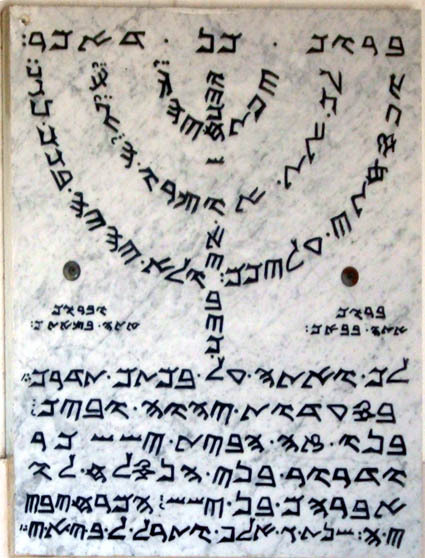 But while the Jews migrated to writing with the Aramaic alphabet (the second great international script) around 2,500 years ago, their neighbors the Samaritans did not. 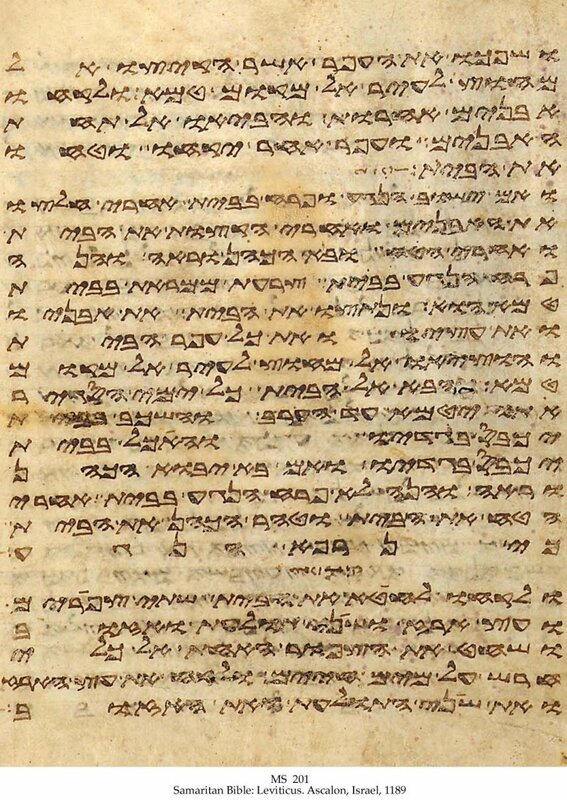 One theory is that the destruction of the First Temple and the exile of educated Hebrew speakers to Babylon led to Hebrew commingling with Babylonian; another suggests that when they returned to Judah they found it a Persian province where Aramaic was the official script. 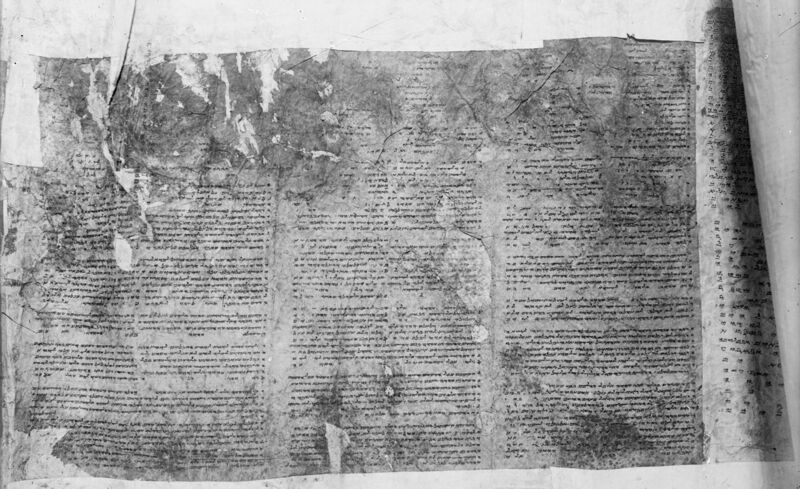 The Samaritans, having suffered no such exile, regard themselves as the true descendants of the sons of Israel, and their alphabet as the ancestral Hebrew script — a contentious position, given the power of writing as an iconic system. By the time of Christ, the two neighbors loathed each other. The entire point of the parable of the Good Samaritan is that it’s not the priest or the Levite, both representatives of the Jewish religious hierarchy, who help the mugged man — it’s the hated and despised Samaritan who gives first aid and puts the victim up at the nearest inn. “Which of these three was his neighbor?” Jesus asks, neatly making a point about both spiritual integrity and local hostility. Despite Christ’s endorsement, the next two thousand years were not kind to the Samaritans. Disliked by Jews, Christians and Muslims, they suffered massacres under the Christian Byzantine Emperor Zeno, were slaughtered or forced to convert to Islam by the Ottoman Pasha Mardam Beq, and by the beginning of the twentieth century consisted of only four families, numbering perhaps 120 people. The Samaritans were not a weak-willed people, though, and their devotion to survival was as strong as their devotion to their language. If anything, they may have become more devoted to their script. Nowadays the Samaritan population, restricted to two settlements in Nablus (a Palestinian city in the West Bank) and Holon (near Tel Aviv) has clawed its way back up to nearly 1,000, and is as proud of its language, both spoken and written, as ever. Samaritan has one more unique feature: it’s part of the secret iconography of Freemasonry. Even here, though, lurks a strange sectarian rivalry and disputed histories. Albert Pike (1809-1891), was a teacher, would-be trapper, journalist, lawyer, poet, Confederate Envoy to the Native Americans and just one of those ornery guys who are offered an honorary PhD from Harvard but turn it down. Pike’s theology may have been controversial, but nevertheless his introduction of certain Samaritan, Phoenician, Egyptian and Hebrew images into the rituals and regalia of the Scottish Rite seems to have had exactly the combination of archaism and mystery that would appeal to an organization steeped in ritual, and it has survived.